Fast, Efficient Service – What We Say, We do – We have local consultants in locations all across Australia ready to come to your home to provide a free quote. Our professional trades people are able to install your new gutter guards quickly, safely and without fuss. Made By Australians, For Australian Conditions – We are proud to be 100% Australian owned and managed. 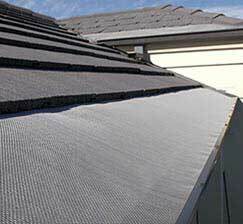 Our AquaGuard gutter guards are designed for the Australian market and made with Australian materials. Quality Workmanship Guaranteed – We use only the best grade materials and equipment and believe in the highest levels of quality control to ensure our work is done correctly every time. Our trained professionals all follow a 5-step installation process, ensuring consistency in service delivery. All our work comes with long-term warranty and guarantees. Outstanding Expertise By Our Accredited Tradespeople – Our accredited and fully licensed trades people are specially trained to install the full range of AquaGuard products, neatly and quickly. They will work with you to assess your needs according to your geographic location. Our staff care about the work they do, and gain satisfaction from a job well done. Highest Safety Standards – AquaGuard trades people are fully insured and have the most up-to-date safety equipment and systems in place during installation. Our installers all have the relevant accreditation and safety certificates to meet Australian safety and quality standards. Professional and Reliable Service – Our focus is constantly on providing outstanding customer service. Our friendly staff are always ready to meet your needs. 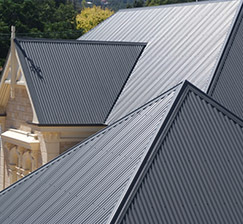 Award-winning Business – We are proud of our award winning achievements for the best Australian gutter guard products and service. Join thousands of other Australians and benefit from AquaGuard’s award-winning gutter guard design. 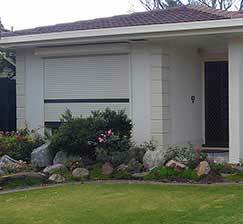 High quality roller shutters are simple to use, look great and offer comfort and protection of your property. 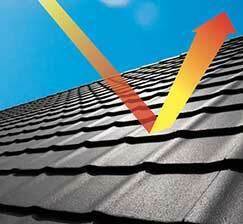 Improve the appearance of your home and add value with a new roof from AquaGuard. Roof restoration using heat reflective coatings will have it looking good as new. One has to ask oneself how much is one's life worth to risk life and limb climbing up ladders and being on the roof to clean our channels and gutters? There is also the cost to take into consideration if paying someone else to do it on a regular basis. When I spoke with an AquaGuard representative at the Royal Adelaide Show, she clearly explained to me the principle of the system and the way it would be installed. The product presentation was informative, concise and easily understood when a representative came out to give a quote. Sections of the guttering are difficult to access i.e. the Perspex covered lean-to front and back, especially the rear lean-to, but despite this, the gutter guard has been very neatly and professionally installed. I would recommend the installation of this product. We have recently had all our roof gutters on the house installed with your Gutter Guard product. We were very impressed with the punctuality, efficient manner of workmanship and the excellent job done on the installation of our Gutter Guard. He was very professional and you wouldn't even know that anyone had been here apart from the visual effect of the job done after our own inspection. We would like to pass on our congratulations to all involved and thank you most sincerely for a fantastic job well done. It was a pleasure to do business with your company and we have no hesitation in recommending your firm to others. No more climbing ladders to clean out the gutters! Yah! Thank you so much for the gutter guard you arranged to have installed along the back of our house. My husband was always trying to keep the leaves and twigs at bay but it wasn't always something he could keep up to especially when he wasn't well. We were really grateful to you and still find it a little hard to believe your generosity. We are making sure we tell people how good your product is and hope you gain from that. Once again our most sincere thanks. Lorna and Geoff	White Hills, VIC. We thank you for installing your product in our gutters. It has already proved its worth during some wet and boisterous weather. The consultant explained the process lucidly to us, and we felt that Mark carried out the work of installing the gutter guard efficiently. He was pleasant and thorough, and cleaned up everything after the two days, even restoring the cantilever clothes line. Our recommendation plus the sign at the front of our property should encourage others to arrange for installation of this product. James and Elizabeth	St Georges, SA.